The above statement, as reported by Michael K. Smith is true, and it says a lot. This was stated by Benjamin Netanyahoo’s psychiatrist in 2010, in a diary that was found after Netanyahoo’s psychiatrist “committed suicide” because Netanyahoo was such a crazy psychopath it ruined the psychiatrists life. This little reported story (for obvious reasons,) is not a hoax despite what clean up teams are saying now. This is being reported as satire in some locations, but the author, who wrote the greatest story never told claims it is sourced to insider contacts, and never rescinded it. Therefore I am calling it real. If you were curious about why Israel put so much effort into creating race specific bioweapons, Netanyahoo’s insanity is a very plausible reason. And though there are a few people out there making guesses calling his statement a hoax, an extensive search on the topic revealed nothing solid that would confirm that. How did cute little NINA go ALL THE WAY through Ebola to perfect in 12 DAYS? Sure looks downtrodden with a usually fatal illness in the hospital! Doctor awful happy to hug her!. 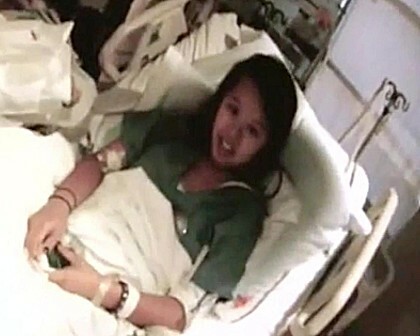 I’ll tell you how “Ebola” could have been fatal for that girl – if someone shot her for lying. She will no doubt get her privileged place in the New World Order for fronting that scam! Let’s take a look at what was likely in those shots – experimental Israeli ethnic bioweapons developed under the orders of Netanyahoo – this is serious business folks. Bacteriophages are so selective that a phage that attacks (for example) Salmonella typhimurium will not attack Salmonella typhi because salmonella typhi does not have the exact precise protein sequences needed for it to hook up with. With normal viruses, (the ones that attack people) the selectivity is nowhere near as precise, and something that infects birds will also infect us. By using the extreme selectivity bacteriophages are capable of, Netanyahoo and his drones have produced biological weapons that know if you are black, white, blonde haired, brown eyed, blue eyed, whatever, and will only attack precisely what they have been designed to attack. And if this is not the case, HOW THE HECK do we now have a new type of phage, which once only attacked algae now attacking people and making them passive and stupid? If this is being put into the broader population via a tainted vaccine administered under strict controls, it will explain how people are now coming down with this new brain destroying illness. Phages are also preferable for vaccine administered bioweapons because absent being shot directly into the blood stream they have far greater difficulty infecting people than viruses and bacteria that traditionally have attacked people. Perhaps this is what is in that Gardasil shot? 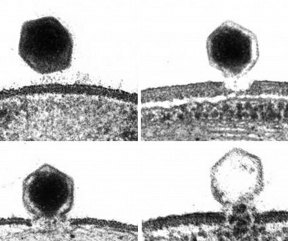 So in addition to attacking all people and other species, it is now possible to use phages as a weapon that only kills Arabs, Blacks, whites, Chinese, etc, and will not hit the greater Jewish population simply because unless designed to, it cannot get into people via any means other than direct injection because in nature phages are not designed to get through the body’s natural barriers to infection. In Feb 2009, Baxter, a major manufacturer of vaccines, sent the seasonal flu shot to 18 different countries with live unattenuated H5N1 bird flu. When the Czech company Biotest was assigned to test the vaccine on live animals for the Czech government, they realized something was wrong when the test animals died. The alarm went out to all others who had received it, fortunately before it was administered. Upon follow up examination of the vaccine the live virus was revealed, had no one caught Baxter’s tainted batch, we would now be in the midst of a pandemic with massive numbers of dead. A lot is being done to front the Ebola scam and give it legs, so much so that yet another “Ebola nurse” Kaci Hickox who worked for the CDC was trained in psychological warfare in 2012 before being deployed in Africa to “work Ebola”. So why would the CDC want a nurse trained in psychological warfare? perhaps because she had to, as part of her job, work to convince the victim population that despite there being no symptoms of classic “Ebola” it really was “Ebola” and not some other illness, or perhaps even just formaldehyde poisoned water or formaldehyde laced “vaccines” that were killing people. Early on, Africans were insisting that this was not Ebola, and that something else was causing these illnesses. Who finally succeeded in shutting them up? Perhaps a girl who was trained to be good at shutting people up while fronting as a nurse. She knows it is fake, which is why she is refusing quarantine. Now back to that Netanyahoo quote – I have tried to confirm this a hoax, but aside from people guessing and saying it has to be a hoax, there is no solid evidence out there that it is. It was not originally published as satire and was never rescinded or clarified later by the writer. Given the writer’s prominence, if it was fake one would think he would have said so after it created such an uproar. Certainly in the greater context of things, it is truly plausible Netanyahoo really is that nuts. The original Eric Duncan from Liberia really did work for the Peace Corps. He really did get called back within three days of the Texas Ebola story being hatched. Shills hopped on this one, stating vehimently that Peace Corps Eric Duncan was a white guy. But photographs later surfaced with Eric Duncan as a black man attending a Peace Corps dinner, with colors themed after the Ebola psy op, and one question forever remained unanswered by the shills – HOW can TWO Eric Duncans arrive to America via plane FROM LIBERIA within the same three day time frame? It’s not like even a thousand people make that trip, how was there such a coincidence? The shillage is weak, and probabilities low. Our Illustrious Ebola Eric is a more than probable Ebola hoax as fake as Nurse Nina. She never had Ebola, simply because Eric Duncan did not have it either. Another interesting point with all of this is the girl who clearly stated on camera and in context that the man they were reporting as Doctor Spencer was not Doctor Spencer when they showed her a picture, another total bust. And if you have not seen this youtube video – Cnn’s redacted and censored “Inside Liberia’s Ebola Crisis“ where obvious actors fake Ebola, it is a must watch, the kid at 1:00 is precious. Bottom line? They are scamming Ebola. 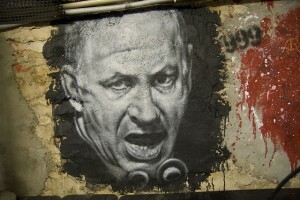 Israel has created some really wicked bioweapons, and Netanyahoo is likely to be crazy enough to make it all go. Only a fool would go along with the Ebola plan, it is as fake as fruit loops and the real question is: WHY are they so desperate? Ebola scares people like no other illness out there, yet they still pulled a fraud so poor only a fool would get a shot. And when one considers Netanyahoo’s mental state, which even if the statement above ends up being satire, cannot be a whole lot better anyway there is serious cause for alarm.